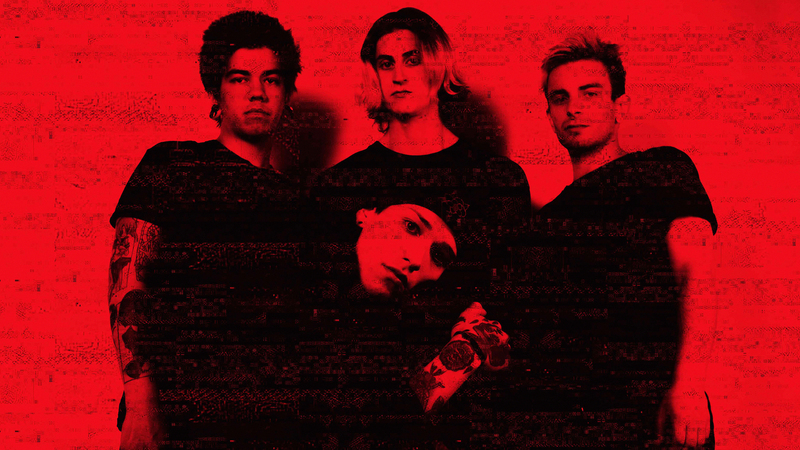 After a year-long hiatus, metalcore legends Sworn In are back and better than ever. After signing to Fearless Records earlier this year, the four-piece revealed that their new album, ALL SMILES, would be hitting the shelves sometime this summer. Luckily, the wait is finally over—the Illinois natives not only released the LP today, but also the music video for the album's title track. As if fans of the "Make It Hurt" musicians didn't have enough to celebrate, we now come bearing Sworn In's third release today—the behind the scenes video for the making of the visuals for "All Smiles". The footage shows the band—Tyler Dennen (vocals), Chris George (drums), Eugene Kamlyuk (guitar, backing vocals), and Derek Bolman (bass)—setting up the scene, creating the environment that this stellar track deserved. Of the release, Dennen said, "Creating the visuals for Sworn In over the last year and a half has been such a growing and learning experience for me, as an artist and as an individual. All art forms to me now, coincide and all aid one another. ALL SMILES could have never existed unless I pursued visual art. Thanks to supportive people and a ton of passion, I continued to expand my horizons regarding visual art. This is my fourth video I have done for Sworn In now and is by far the one I am the proudest of. Before I created the visual art for Sworn In, I didn't have a vision for Sworn In. Now I live the vision and try my best to create a visually unsettling, yet emotionally honest accompaniment to the songs and words that I used to tear myself open for the world. If you get a listen, you'll get a look too". Check it out below, then Track the group on Bandsintown so you don't miss them when they're in a city near you!